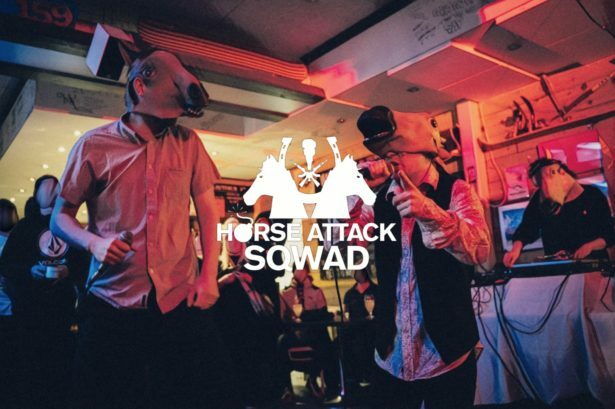 Horse Attack Sqwad (H.A.S) is a pioneer act of Finnish grime, known for its hard horse related lyrics. Known for the songs “Hevosia ei ongelmia” and “Mulla on hevonen“, H.A.S. has released two long play albums: the most recent “Suuren Yli-Hevosen armosta” were published by Överdog Records in March 2018. H.A.S. is currently working on their third long play album, which is expected to be released in the near future in 2019. H.A.S members Hevoskuiskaaja and V65 from Villilä, Tampere, are known for their accurate rapping style and breath-taking live shows. DJ Bhtruu and Dj Hassimo, who joined H.A.S’s live set last year, are both world-class scratch artists. For the first time on Blockfest, they are on the same stage with H.A.S on a exceptional two scratch-DJ grime-live set.